Ownership / Access: Owned by the municipality. Notes: Runkelstein Castle (German: Schloss Runkelstein; Italian: Castel Roncolo) is a medieval fortification on a rocky spur in the territory of Ritten, near the city of Bolzano in South Tyrol, Italy. In 1237 Alderich Prince-Bishop of Trent gave the brothers Friedrich and Beral Lords of Wangen permission to construct a castle on the rock then called Runchenstayn. During the Romanticism period in the early nineteenth century romanticists rediscovered Runkelstein. Johann Joseph von Görres, a German writer was the first to come and was soon followed by the many artists in the service of King Ludwig I of Bavaria. In this time the castle became a symbol for the Romantic period. 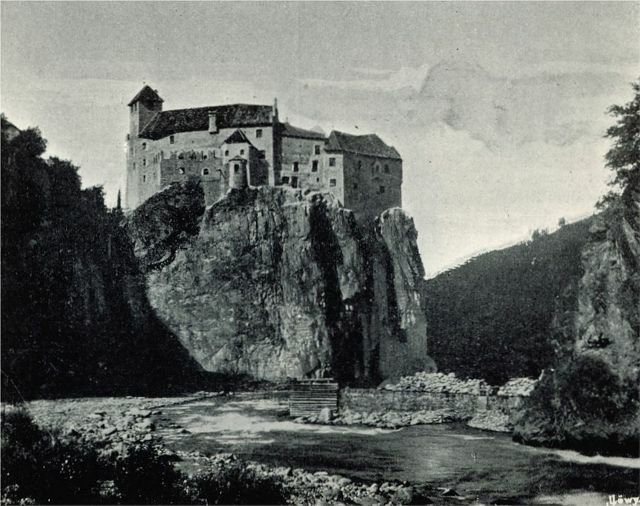 In 1868, the northern wall of the Summer House collapsed, but in 1880 the castles fortunes changed: Johann Salvator Archduke of Austria bought Runkelstein and gave it as a gift to Emperor Franz Josef in 1882. The emperor commissioned Friedrich von Schmidt to restore the Castle and after the restoration donated it to the city of Bozen in 1893. The last restoration, including a careful restoration of the frescos was carried out in the late 1990s.